Showing results for tags 'kaga'. The following is a review of Kaga, a ship kindly provided to me by Wargaming. This is the release version of the vessel and these stats are current as of June 1st, 2017.The awkward teenager. Quick Summary: An enormous carrier with specialized dive bomber and torpedo bomber squadron attack modes. Her fighters are not up to snuff.Cost: $43.99 USD including a port slot.Patch and Date Written: May 17th to May 30th, 2017. Patch 0.6.5 to 0.6.5.1. Closest in-Game Contemporary Hiryu, Tier VII Japanese Aircraft CarrierDegree of Similarity:Clone / Sister-Ship / Related Class / Similar Role / Unique Kaga is only superficially similar to a stock Hiryu. At least then Kaga shares Hiryu's fighters, torpedo planes and dive bombers. However, all of Kaga's strike aircraft have unique ordnance, strike patterns and squadron sizes. The physical ship itself shares very little with the other carriers, with her hull based on that of a battleship. PROs Large hit point pool. Well protected citadel, including anti-torpedo bulges. Specialized large dive bomber squadrons with super-accurate drops. Specialized, large torpedo plane squadrons with a special drop pattern. Enormous carrier capacity of 85 planes. Excellent (and optimized) Flight Control Group of 2-2-1, allowing her to use and abuse two torpedo squadrons at the same time. CONs Huge target with large, soft areas that are easy for any HE shell to penetrate. Her impressive looking secondary compliment is more for show. Fighter groups are only tier VI, making them the underdog in almost any match-up. Poor damage potential from her aerial bombs. Her larger flight groups lead to longer reload times for her strike aircraft. Only modest AA power. She turns as like a one legged cow. She's about as fast too. Very easy to spot. Enormous aerial detection range and a large surface detection range too. Kaga is a beast and she looks the part. This carrier is absolutely enormous and she looks armed to the teeth with huge aircraft squadrons cluttering her decks and massive, heavy-cruiser sized defensive batteries. Tack on all of the history behind the vessel and what's not to love? In World of Warships, she's a very interesting aircraft carrier and worth taking a closer look, even if you're not a fan of the ship type. OptionsKaga has the option of using two different Flight Control groups, divided between 1-1-3 squadrons and 2-2-1 squadrons between fighters, torpedo planes and dive bombers respectively. For the first Flight Control group, the hangar capacity is divided between 11 fighters, 21 torpedo planes and 53 dive bombers. The second splits the hangar capacity with 28 fighters, 43 torpedo planes and 14 dive bombers. Consumables:Damage Control Party Module Upgrades: Four slots, standard aircraft carrier upgrades. Premium Camouflage: Tier VI+ Standard. This provides 50% bonus experience gains, 3% reduction in surface detection and 4% reduction in enemy accuracy. For upgrades, I would select the following: In your first slot, take Air Groups Modification 1. Your secondaries and AA guns aren't good enough to be worth hurting your fighters any further. In your second slot, you have a choice. Flight Control Modification 1 is probably considered optimal. Kaga's larger strike air groups have almost a 30s reload time between waves and this will reduce them down by about four seconds. Alternatively, you can try and make your fighters a credible threat by using Air Groups Modiifcation 2. Understand that if you go this route, it's an uphill battle. Your fighters alone aren't likely to win you air supremacy that wasn't already gift wrapped for you by your opponent selecting a Strike-Ranger. In your third slot, take Damage Control System Modification 1. This will get your anti-torpedo protection up to 24% which is quite nice for a carrier. And in your final slot, take Damage Control System Modification 2. You will come under attack and you will suffer fires and floods. It's possible this last module will be the difference between surviving or not. Besides, nothing can really help Kaga pretend to be nimble, so don't kid yourself that the other mods will do you any service. Air Groups Aircraft Types: Mitsubishi A6M2 fighter, Nakajima B5N2 torpedo plane, Aichi D3A1 dive bomber Flight Control Groups: One fighter, one torpedo plane and three dive bombers (1-1-3) or two fighter, two torpedo plane, one dive bomber (2-2-1) Base Squadron Sizes: Four fighters, Six Torpedo Planes, Six Dive Bombers Hangar Capacity: 85 Like Saipan before her, Kaga has some unique features where her air groups are concerned. Fighters Kaga uses tier VI A6M2 "Zero" fighters. These are the exact same fighters you first unlock on the tier VI Ryujo and use again with the stock tier VII Hiryu. They even come in the same squadron size of four fighters which can be upgraded to five if you take the Air Supremacy skill. With mirrored matchmaking between carriers, these fighters have an immediate disadvantage over most other fighters you will encounter. Proper use of the strafe mechanics is key to doing the most damage possible. This will buy your strike aircraft time to do their job. You'll hemorrhage fighters quickly in most cases and eat through even Kaga's substantial reserves. So long as this is used to make strikes to the betterment of your team, the losses are acceptable. It can be worthwhile to freely offer up your fighters to lock down those of your enemy to give your bombers a clear attack run -- with Kaga, this is often all that's needed. More than any other carrier, Kaga benefits from the skill, Dogfighting Expert. It's rare that she will ever face same-tier fighter squadrons, and this provides a ready boost to their (in)efficiency. While this won't give her close to parity in performance with A6M5s or Hellcats (never mind Corsairs), it will give them a bit more attack power to help draw out fights. A6M2 Zeroes hound a Ranger's TBF Avengers. Dive Bombers There are several odd points about Kaga's dive bombers. Superficially, they share the same baseline stats as Ryujo's tier VI D3A1s. This includes hit point total and speed, but the similarities end there. Kaga organizes her dive bombers in squadrons of six planes instead of the usual four found on standard IJN Carriers. Their turn around time in the hangar is 31 seconds up from 19 seconds for Hiryu's dive bombers. In addition, they use a different armament. Kaga's D3A1s are armed with the Type 99 N6 Mod 1 bomb. Compared to those found on Hiryu, they have less armour penetration, a smaller blast-size, reduced fire chance and, most crucial of all, they do less damage. All of these drawbacks are compensated by having an dispersion radius nearly half that of normal IJN dive bomber squadrons and could be closely compared to that from Saipan's. Unlike the American premium, Kaga can tighten this further with a manual drop, landing nearly all of her bombs with pin point accuracy. Properly aimed, you can guarantee all of her bombs will strike a target. This is very necessary as her bombs only do 858 damage per hit (or less on saturated targets). An upgraded squadron with seven planes is only going to put out a maximum of 6006 damage with their strikes which is a far cry from the destroyer-busting salvos from Saipan. With a manual drop, it's unlikely that more than a single fire will be lit as they will all cluster on a single section and most ships will laugh off this kind of damage. It's only through the use of multiple dive bomber squadrons that Kaga can stack any substantial amount of damage and it's not easy going. Moreover, it's often not worth the effort of trying to land these pinpoint strikes and this, in turn, diminishes the value of the 1-1-3 control group. I've found that it's not really necessary to manually drop Kaga's dive bombers. I will spend little more time with them than to align their approach vector along the long-axis of the ship and let them auto drop. This will not result in as many hits overall, but it is more likely to spread fires across multiple sections of the ship. This in turn taxes the Damage Control Party of my target and sets up follow up attacks with torpedo planes quite nicely Overall, Kaga's dive bombers are interesting but they're not the weapon of choice for maximizing damage with this vessel and they largely play a secondary or follow up role. Blast radius of the dive-bombers from tier VII carriers with a reference-Mahan for scale. Kaga is the least likely to detonate targets she strikes with bombs as hits must be grouped quite precisely over top of the magazines to set them off. Other carriers need only land them within the same postal code to have a chance at damaging a whole number of modules. Torpedo Planes Once more, Kaga borrows from Ryujo with the B5N2 torpedo plane. In this case this isn't acting at a disadvantage to Hiryu as both carriers use this aircraft. Immediately players will notice that Kaga's squadron size for her torpedo planes is enormous, comparable to the six-plane squadrons of USN carriers. Their reload time is 29 seconds compared to 21 seconds for Hiryu's squadron of four, but is far in advance of Ranger's 41 seconds. This even compares well to Saipan's 22 second rearmament with her Skyraiders. Taken in isolation, Kaga can turn around more torpedo bombers faster than any of the other tier VII carriers. The large squadron size also comes with the option with the 2-2-1 load-out to operate two squadrons simultaneously (with 31 reserve bombers! ), opening up all sorts of brutal meta play. Kaga's torpedoes travel at 48 knots compared to the 35 knots of Hiryu's torpedoes with only a minor sacrifice of 400m worth of range, bringing their reach down to a 3km. This all comes without sacrificing damage which is obscene. Kaga's torpedo drop takes a unique pattern. Rather than dropping line abreast, the formation of six planes drops in two lines, one in front of the other. Each line has three fish. The torpedoes released closest to the target are spread further apart. The second line is more tightly packed -- akin to the initial spacing of USN aerial dropped torpedoes. Casualties taken from Kaga's torpedo planes removes aircraft from this second line first, diminishing the tighter cluster. Like all IJN torpedo aircraft, their torpedoes take a convergent path on a manual drop. The net of this drop is quite different from the usual pattern players are used to evading. By playing with the range of the attack and overlapping salvos, different combinations can be used depending on the target. The wide spread of advanced torpedoes can be ignored in favour of focusing on emphasizing the narrow spread that drops behind. These drops at near point blank range can see players panic to avoid the wide-spread fish only to expose themselves to the cluster coming in behind. The variations are many, especially when doubled up with a second squadron for a cross drop, bullet-hell nightmare that will make for some great YouTube montages. Kaga's torpedo planes allow her to assassinate most surface vessels outright through either a combination of overwhelming damage or a mix of direct assault and damage over time effects. She can afford to attack targets that other carriers might not brave grace of her deep plane reserves. Approximate size of manual torpedo drop spreads at minimum arming range for Ranger (left) and Kaga (right). Both carriers have comparable widths at this range, but Kaga's will converge the further her torpedoes run while Ranger's will diverge over distance. Reference-Mahan used for scale. Load Outs Given the ridiculous strengths of Kaga's torpedo bombers, her 2-2-1 build is optimal. A single torpedo hit against most targets will do more damage than an entire squadron of dive bombers. This build also gives her more fighters to work with to help unstick her attack planes from enemy bandits. The carrier-snipe potential from this build is very real and anyone facing a Kaga should be wary of misplacing Kaga's torpedo plane squadrons lest they find themselves ambushed. So while air superiority is difficult for this carrier to achieve, she can wrest it away by going for the source of enemy aircraft with alarming ease. Firepower Secondary Battery: Ten 200mm guns in single casemate mounts, sixteen 127mm 8x2 turrets. On paper, Kaga appears to carry more firepower than the mid tier IJN Heavy Cruisers. It would be a mistake to expect too much out of these weapons. First of all, they are divided into port and port and starboard batteries, giving her a maximum broadside of five 200mm guns and eight 127mm guns. Second, their fire angles preclude all of the guns from engaging a target in her forward aspect until they're 45º off her bow (or 30º off her stern). Third, their range is limited to 4.5km. And finally, Kaga is an aircraft carrier. She's not built to trade fire with surface ships. While it may be tempting to toss a secondary-specialized Captain in her, it's your funeral. Short of a low health, Soviet destroyer being stupid enough to stray into gun range, your secondaries aren't going to get a whole lot of exercise. Attempts to do so often end hilariously and with a sad trombone sound effect. Manoeuvrability Top Speed: 28.0 knotsTurning Radius: 1080mRudder Shift: 14.4s Maximum Turn Rate: 2.69º per second. Kaga doesn't do anything particularly fast. Her top speed isn't impressive and this leaves her dangerously vulnerable if one flank collapses. When it comes to agility, whole generations live and die before she can manage to turn herself 90º, never mind coming full about. DurabilityHit Points: 51,000Maximum Protection: 19mm + 76mm + 152mm Min Bow & Deck Armour: 19mm extremities, 21mm flight deckTorpedo Damage Reduction: 22% Kaga has an enormous hit point pool for a tier VII carrier, which she deserves given the size of her. Being built on a battleship hull, her layers of protection around her citadel are quite formidable. Her citadel itself has 76mm of protection and is almost entirely submerged. At medium to close ranges, one must also punch through 152mm armoured belt and 19mm anti-torpedo bulges. While this won't turn away battleship shells, it does provide a reasonable obstacle for cruisers and destroyers, giving Kaga some survivability in such encounters, so long as they're kept brief. The downside is that all of this armour around her citadel is made largely irrelevant when it comes to high explosive attacks. Kaga is enormous and most of that upper structure right to her deck is easily penetrated by any high explosive shells she's likely to face. It's almost impossible to miss her once you start shooting and her tall silhouette makes a tempting target. Her torpedo damage reduction isn't great, but at least she has some. Not every carrier can boast that. This can save her from flooding damage and frustrate would-be carrier snipers. Secondary batteries exchange between Kaga and Dunkerque. Don't try this at home. Concealment & Camouflage Base Surface Detection Range: 12.6km Air Detection Range: 13.6 km Minimum Surface Detection Range: 10.3km Minimum Aerial Detection Range: 11.4km Kaga makes Großer Kurfurst look like a modest design. This ship be huge. Specifically, Kaga is very tall. Her flight deck is almost at the same height as the top of Yamato's rangefinders. Yeah. She's that big. This comes with some understandable complications. Aside from just being easier to hit, she's also very easy to spot. Kaga has a larger aerial detection range than she does a surface detection range. Stray float planes and wandering enemy fighters are likely to uncover her at inopportune times. This makes taking an aggressive position filled with more risk than it might in a Hiryu or Saipan, for example, especially given her less than exemplary speed and agility. Once Kaga is detected by surface vessels, disengaging is all but impossible. She doesn't have the speed or stealth to open up the distance and, short of sinking her pursuers, she can only hope to make use of island cover to make her escape. Anti-Aircraft Defense AA Battery Calibers: 127mm / 25mmAA Umbrella Ranges: 5.0km / 3.1kmAA DPS per Aura: 81 / 70 Kaga's anti-aircraft armament isn't up to the task of keeping her safe. To be fair, it's only slightly behind that of Hiryu, but even being up to par with that CV wouldn't be anything worth bragging about. Kaga's fighter cover is really necessary to keep her safe from enemy attack, taxing her already over burdened (and up tiered) fighters even more. 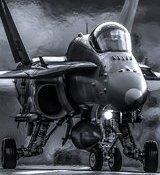 This makes Air Groups Modification 2 look even more appealing to provide her fighters with improved endurance to continue to harass and shoot down approaching attack planes. Given her large aerial detection range, you can expect to be sniffed out early and for many opponents to try their luck at taking you out with a snipe. Worse, her large aerial detection range far exceeds even the maximum upgraded range of her AA batteries, necessitating the use of fighters to search for and clear out spotters to keep enemy surface ships from trying their luck with a long ranged pot shot or two. How to Increase your Joy The commander skills needed to optimize Kaga aren't anything special. Her AA power and secondaries aren't really worth spending skill points into to try and emphasize. This leaves us with a focus of skills to improve her aircraft performance and rearmament times -- skills that mesh well with most of the other IJN carriers, making Kaga a decent training ship once the minimums have been selected. As usual, we'll be racing to select a top tier skill first before doubling back. To this end, we'll be selecting one skill from each tier for our first 10pts spent. Start with Aircraft Servicing Expert -- Kaga's reload timer with her strike aircraft is quite long compared to other IJN Carriers. Follow this up with Torpedo Acceleration at the next tier. This will drop your effective range of your torpedo planes to 2.4km but it will increase the speed of your torpedoes to 53 knots which is hilarious. Next, take Torpedo Armaments Expertise. Finally, take Air Supremacy. Now we can double back through the lines. For your 11th point, take Dogfighting Expert. Few carriers benefit from this skill as enormously as Kaga does with her tier VI fighters. With that, your fighter squadrons are now a credible threat to a stock Hiryu and a mismanaged Saipan. From this point, you can take skills to taste. I would strongly recommend taking Concealment Expert with your next 4 skill points -- Kaga gets spotted often and this can really help mitigate that. If you choose to live dangerously (or decide that being spotted is a forgone conclusion), you can elect to take Basic and Advanced Fire Training to prop up her modest levels of flak and pretend that her secondaries are a serious threat -- which they aren't. Skills like Expert Rear Gunner and High Alert are great follow up choices for the more serious minded. She's hyooj. Overall Impressions Skill Floor: Simple / Casual / Challenging / Difficult Skill Ceiling: Low / Moderate / High / Extreme Carrier game play is largely unforgiving as a rule. That said, Kaga is about as suitable for a new player as any aircraft carrier is likely to be outside of tier IV. She's very auto-drop friendly and she can land a large number of bomb and torpedo hits, even if you don't know how to manually aim. In the hands of an expert, Kaga is easy-mode on a whole new level. I dread seeing the damage totals this thing will spit out when the veterans get a hold of her. She offers so much control of damage-over-time effects and high alpha strikes. The biggest hurdle will be proper management of her under-performing fighters while ensuring that her own strike craft deliver their payloads quickly and efficiently. Mouse's Summary: How did this get past testing in this form? The 2-2-1 load out is disgusting. The only real challenge with her is managing her under-strength fighter squadrons. The rest is easy mode. I'm sorry, Ranger. I am so sorry. Kaga is very powerful. Maybe too powerful. I get how Wargaming might considered her balanced. Her fighters, even when fully specialized, will never be match for her contemporaries. Kaga's strike squadrons take a long time to reload. Her dive bombers don't hit especially hard and, when manual dropped, aren't likely to set more than a single fire. She is awkward and she is slow to respond. She is clumsy. She's easily spotted even when she thinks she's being subtle and sneaky. And, of course, Kaga has really big guns that will only get her into trouble if she tries to flaunt them. I am getting high school flashbacks. This all goes towards making her 2-2-1 build acceptable at a cursory glance, which it really shouldn't be. I am not expecting the population at large to dominate with Kaga. Her performance is locked behind a skill wall. However, I do think attention needs to be justly placed on her potential. Facing off against a competently captained Kaga will be a nightmare. I had some serious open-Beta Midway flashbacks during my play-test sessions. It felt cruel how easy it was to stack floods, set up cross drops and largely abuse surface ships. 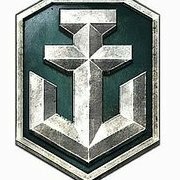 I cringe to think why Wargaming decided this game play was unacceptable for Midway, yet perfectly cromulent for Kaga, especially when under performing ships like Ranger go without. Yet, Kaga won't paint any potatoes purple. She doesn't come with training wheels. Waste time setting up attacks and your team will melt around you. Botch a carrier snipe and you'll pay for it. Choose the wrong target and your planes will evaporate before placing their drop. Mishandle your fighters against a Saipan or HIryu and you'll be on your back foot from the word go. Kaga is easily a contender for the best carrier at her tier. She's hands down better than Ranger. On the attack, she's better than Saipan or Hiryu, but she's weaker than both defensively in terms of her fighters and also the vulnerability of the carrier herself. Is she overpowered? She definitely has facets -- or rather, one facet, that smacks of such. Would I Recommend? I should preface this with the following: Kaga isn't likely to convert any new carrier players to the fold. If you haven't enjoyed playing carriers before, I don't think she'll win you over. While the attack patterns of her dive bombers and torpedo planes are interesting, they are not some miracle fix to the disparate game play between carriers and surface vessels. For PVE Battles How well does the ship maintain profitability in Co-Op modes and how does she fare against bots? Very yes. Kaga can carry a PVE-match. Her damage output with the proper build is ridiculous. Snipe the enemy Kaga then farm damage at will. Her repair costs are just shy of a 34,000 credits while she'll gross between 75,000 to 100,000 easily on a decent match. For Random Battle Grinding This includes training captains, collecting free experience, earning credits and collecting signal flags from achievements. I could easily recommend Kaga to grind up through Random Battles, with the one provision that she only makes a suitable trainer for commanders with at least 10pts invested in aircraft carrier skills. Without these, she really struggles against anything short of a Strike Ranger. For Competitive Gaming:Competitive Gaming includes Ranked Battles and other skill-based tournaments. This also includes stat-padding. In competitive environments, a well commanded Kaga is a potential nightmare for the enemy team and a strong contender for one of the best carriers at her tier. In the hands of an expert, she can delete enemy ships at will. For Collectors:If you enjoy ship history or possessing rare ships, this section is for you. Kaga has an extensive history, including her famous end at the Battle of Midway. For World of Warships players, she also represents the first IJN carrier premium, which is something in of itself. She's also the second carrier premium ever. For Fun Factor:Bottom line: Is the ship fun to play? I generally dislike carrier game play so it was hard for me to enjoy my time with Kaga. Take that with the necessary pinch of salt. I didn't find anything particularly compelling about playing her. What's the Final Verdict?How would the ship rate on an Angry YouTuber scale of Garbage - Meh - Gud - Overpowered? GARBAGE- Grossly uncompetitive and badly in need of buffs.Mehbote - Average ship. Has strengths and weaknesses. Doesn't need buffs to be viable, but certainly not advantageous.Gudbote - A strong ship that has obvious competitive strengths and unique features that make it very appealing.OVERPOWERED - A ship with very clear advantages over all of its competitors and unbalancing the game with its inclusion. 44 torpedo bombers lost out of 72 torpedoes released, scoring a total of 17 hits for 59k damage. 22 dive bombers lost out of 20 bombs released, scoring a total of 10 hits for 17k damage. 17 attack planes lost out of 40 rockets launched, scoring a total of 26 hits for 10k damage. 5 floodings for a whopping 3100 damage. 9 of the 17 torpedo hits were against a Colorado, and I actually had our DD ask me how in the hell the 'Rado was getting hit by so many torpedoes and taking so little damage. Welcome to CVs post 8.1. Yeap. Kaga plane health is totally balanced against same-and-higher-tier AA. Looks like another ship to become little more than a Port Queen until she gets some love. Oh yeah, btw. We lost because I couldn't really contribute to striking meaningful targets. EDIT: I only sunk the Lightning because he was already nearly dead and strayed into a straddled torpedo drop I dumped on him while trying to, quite ineffectively, cross-drop him. The Alaska was killed by a single torpedo dropped directly from the rear after they had shredded 7 out of the 8 remaining planes I had left in the squadron.